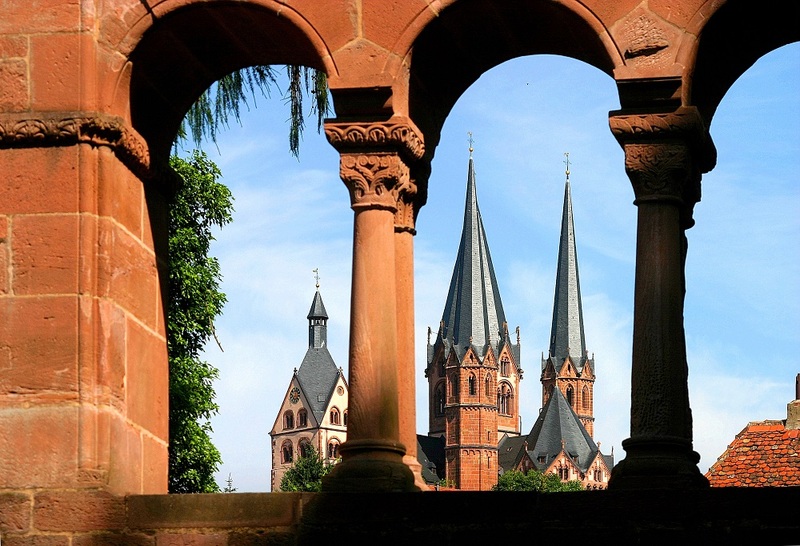 Frederick I, Barbarossa, found the city of Gelnhausen in 1170 and probably had the imperial palace built at the same time. The imperial palace Gelnhausen was a moated castle; it consisted of the walled core castle and the outer castle, which at first and until the 16th century was located only in front of the west side and later on also embraced the north side. Both parts can still be seen today. The undeveloped western island perhaps served as an imperial zoo, just like the island of the Hagenauer Pfalz in Alsace, which Emperor Friedrich Barbarossa had built a little earlier. The form of an imperial palace of the 12th century was essentially determined by its purpose as a temporary residence. Today the former Stauferburg is one of the best preserved imperial palaces in Germany. The complex is strategically located on an island on one of the most important trade routes of the time, framed by the Kinzig at the gates of the medieval town. In the Thirty Years' War it fell victim to the devastations, so that today romantic ruins await the visitor.